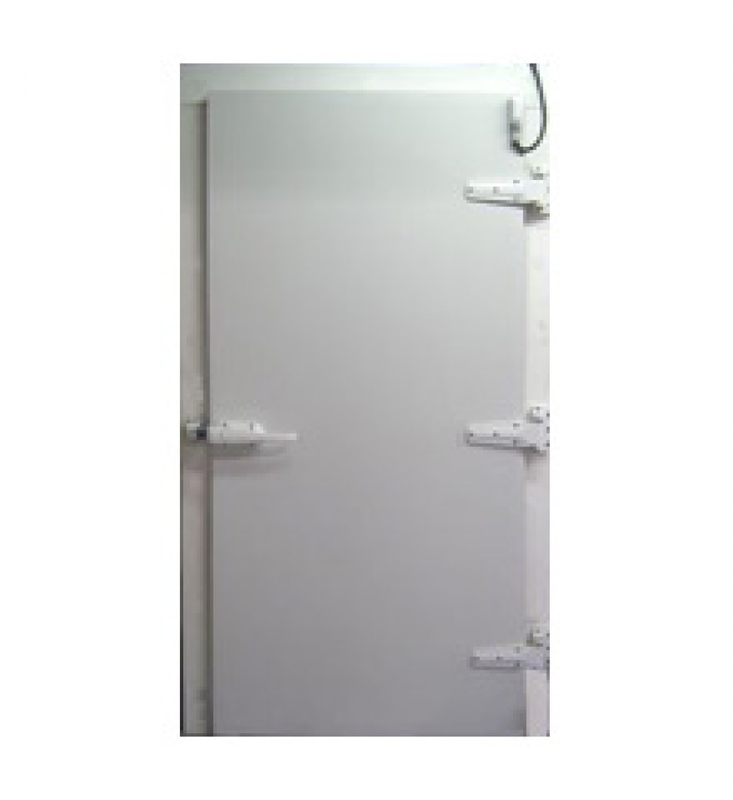 Infitting Cooler Freezer Door | Dock Door Systems Inc. Uncompromising quality, solid reliability and unmatched value define the XP doors. The XP 500 single infitting cooler/ freezer door with its sealed and unitized panel construction exceeds the offerings of other door manufacturers, yet is priced to meet demanding budget constraints. 4" or 6" panel thickness. 24 gauge white galvanized steel. Internal hardware backing plates -- non-corrosive. 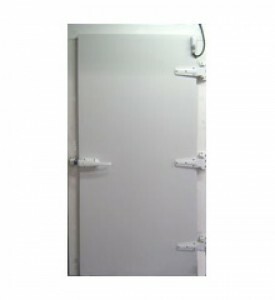 Freezer doors provided with "No Frost" UL listed, self-regulating heater cable. Poured Class I polyurethane foam. USDA approved white virgin high density polyethylene extrusion. Same color throughout to minimize appearance of dents and scratches. View windows - standard and heated. Interior bump open bar with exterior latch door close. Powder coated hardware -- grey or white. One year on all componenets.